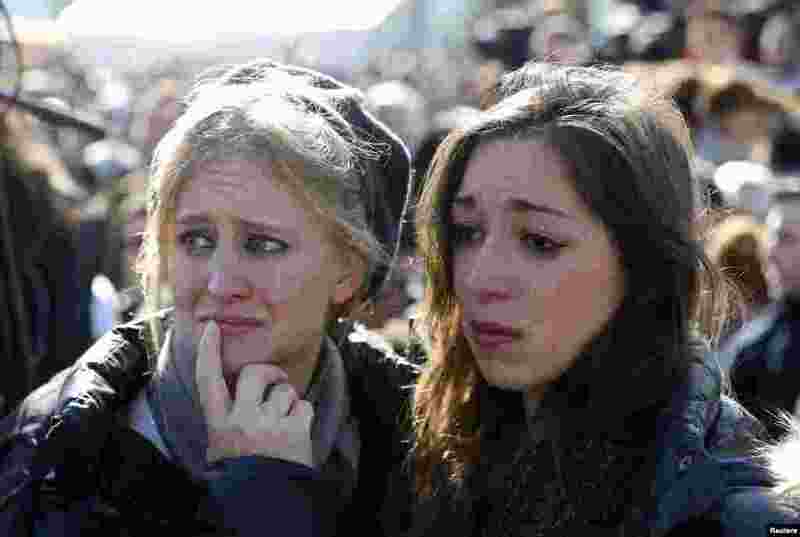 1 Mourners attend the joint funeral for the victims of Friday's attack on a Paris grocery, in Jerusalem, Jan. 13, 2015. 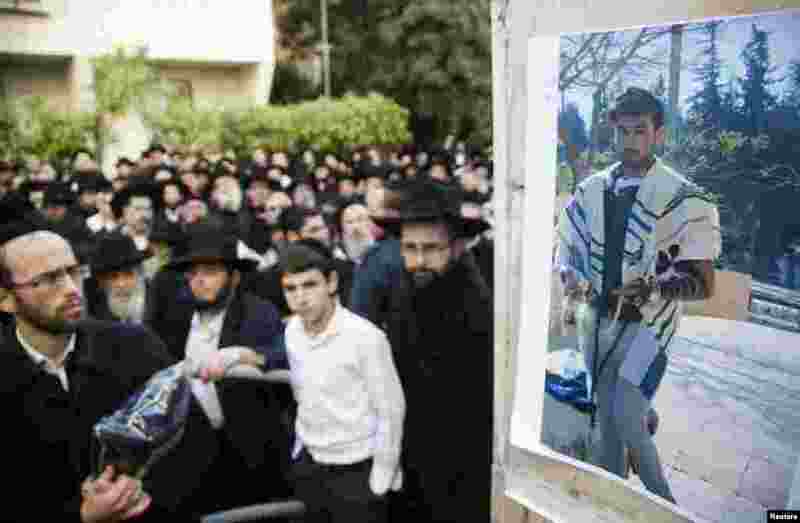 2 A photograph of Yoav Hattab, killed in an attack on a Paris grocery on Friday, is displayed during a procession before his funeral in Bnei Brak near Tel Aviv, Jan. 13, 2015. 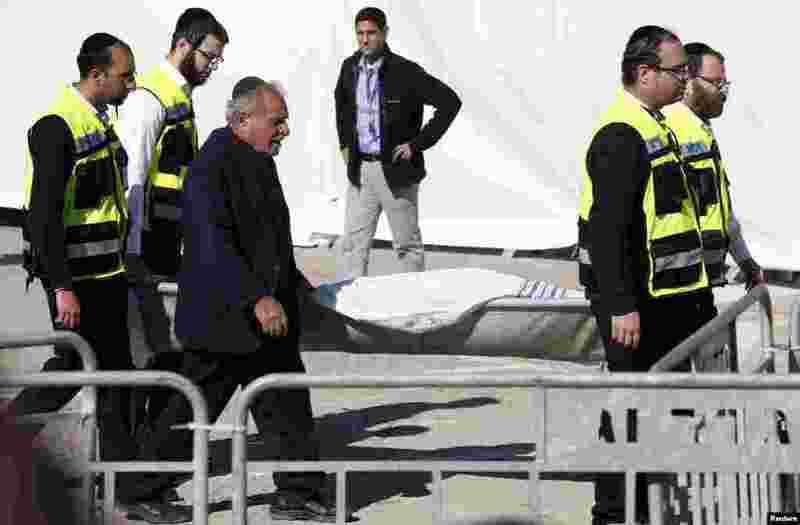 3 The covered body of one of the victims of an attack on a Paris grocery on Friday is carried at a joint funeral in Jerusalem, Jan. 13, 2015. 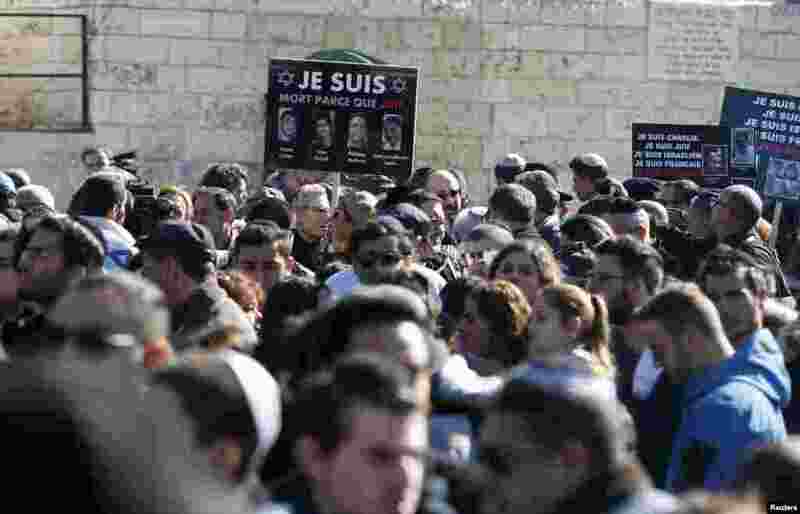 4 A mourner holds a placard with pictures of the victims of an attack on a Paris grocery on Friday, during their joint funeral in Jerusalem, Jan. 13, 2015.